Having an infected follicle (Folliculitis, furuncles, carbuncles or Hot Tub Rash) can be quite uncomfortable. While these infections are quite common, they still need to be treated properly to avoid any further complications. In many cases, the infection will heal on its own. However, if your infection does not go away after a few days, you may need to see a doctor. Since your body has hair on many different parts, you can get an infected hair follicle almost anywhere. Follicles on any part of your body can become infected. However, these infections are more common on parts of the body where your clothes may chafe or rub. For example, the thighs and the groin are common locations for such infections. In most cases, an infected follicle is the result of a bacterial infection. However, in rarer cases, the result may be fungal in origin. Prolonged acne treatment with antibiotics or yeast, for example, is capable of causing an infection in a follicle. 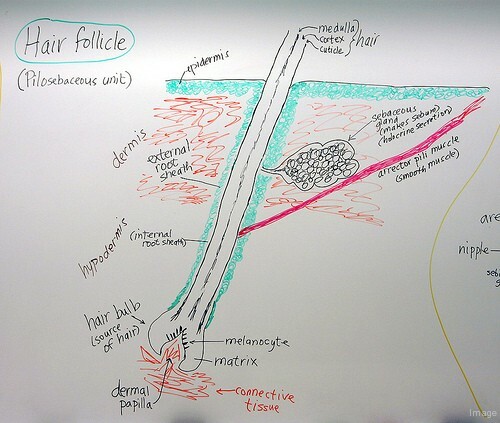 Damage to a hair follicle can lead to an infection. For example, shaving is a common source of irritated follicles, which makes an infection more likely. Wearing tight clothes that rub on your skin can also damage your follicles and cause infections. Sweat, oil, and makeup are also irritants that can damage your follicles and make them infection-prone. One common source of such painful hair follicles is time spent in a hot tub or swimming pool. If the water is improperly chlorinated, it provides a perfect home for bacteria and other microorganisms that can cause infections. These follicles typically show up within three days of spending time in a hot tub. A few other conditions can also lead to an infection in a follicle. For example, if you use a cream containing antibiotics or steroids, this can make infections more likely. Having a health condition that weakens your immune system will also leave you vulnerable to infections. Finally, having a cut or sore that is infected can make the follicles around the wound become infected as well. They are easy to recognize. They resemble pimples, but have a hair growing from the center. This is the hair, whose follicle is the home to the infection. The area around the follicle can also become sore and inflamed. They can itch or produce a burning sensation. If the pimple bursts, pus or blood can ooze out. If you are concerned about a potential infection of your follicles, it is a good idea to schedule an examination with a doctor. He can examine your skin and make sure that you are not suffering from some other skin condition, such as eczema or a heat rash. During the examination, he will ask you about your recent activities to try to pinpoint the source of this problem. Doctor may also want to take a sample of the pus or other infected material, as well as a small tissue sample. While this may be slightly uncomfortable, doing so can be very useful in helping determine exactly which microorganism is causing this problem. This information can help you find the right medical treatment for your infection. In most cases, it can be treated quite easily at home. Most infections will heal on their own within a week or two. A warm compress of vinegar held on the infected area can help to soothe any itching or burning that you may feel. If you have infected hair on your scalp or in your beard, a special medicated shampoo can help to clear up the problem. In some cases, the infection may be more severe and may not clear up on its own. 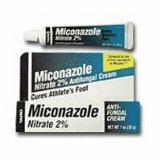 Your doctor may then prescribe an antifungal or antibiotic cream (Clotrimazole, Miconazole, Lotrimin, Tinactin), depending upon the cause of this health condition. With particularly severe cases, you may have to take antibiotics orally until the infection clears up. If your infected follicles reoccur after treatment, you should contact your doctor right away. It is also important to talk to your doctor if your infection is accompanied by a fever or other symptoms, such as a headache or fatigue. If the infected area becomes swollen or warm, or is painful to the touch, call doctor immediately. In some cases, they will need to be treated with laser hair removal. Through this procedure, the follicles are destroyed with a laser. Once they have been removed, they can no longer become infected. However, this can lead to hairless patches in some cases or even baldness. Using an antibacterial soap when you shower can help to prevent skin infections. Be sure to clean your skin regularly, particularly after exercise. Do not share towels or washcloths with other people. Do not put oil on your skin so that your follicles do not become clogged. This condition can be quite painful. If you have this problem, talk to your doctor to find an effective remedy like argan, castor oil or almond oil for hair.